Our Pinot Cottage is an amazingly light and bright self-contained cottage nestled into the side of the Mt Lofty Ranges offering total privacy and solitude. 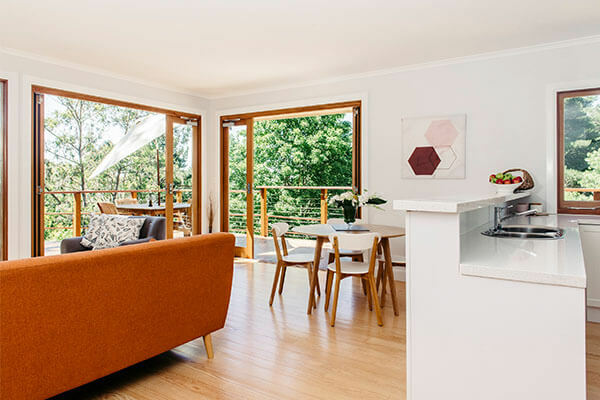 Contemporary by style, this exclusive cottage offers 2 bedrooms, fully equipped bathroom and kitchen plus a huge open-plan lounge/dining area which opens onto a massive entertainers deck. All of this with a stunning forest aspect and views across the vineyard to glorious Mount Lofty House.